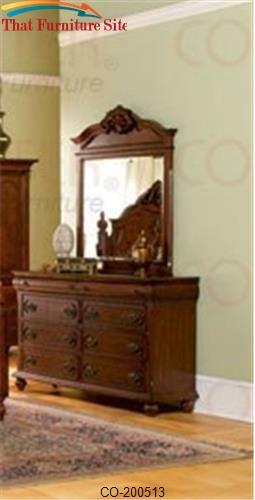 Complete the look of your bedroom with the unique designs of this landscape mirror. The frame is covered in an attractive black bycast-like vinyl and accented by white stitching, creating a modern look. 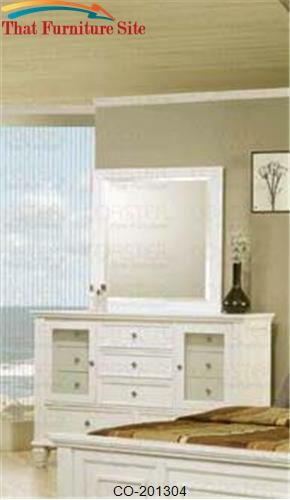 Arrange with a matching dresser for a polished look. 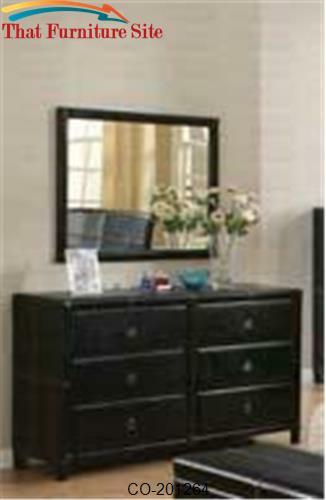 The unique styling of the Danielle bedroom collection offers a casual contemporary look that is sure to make a bold statement in your master bedroom. 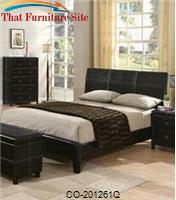 Each piece is upholstered in a black bicast-like vinyl, creating exceptional and unmatched designs. 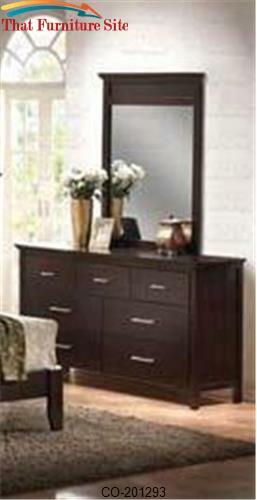 Wooden legs in a rich cappuccino finish and attractive ring pull hardware continue to enrich the composition. 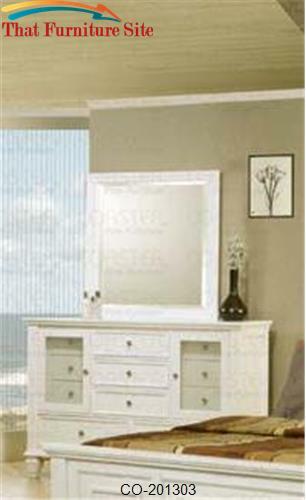 Transform your master bedroom in a sleek yet inviting retreat with the Danielle group!